Kang Mi-hee was Catholic, but she could still recognize bad feng shui when she was living right smack dab in the middle of it. We are talking some seriously bad energy here. The resulting horrors will reverberate for decades in Lim Dae-woong’s House of the Disappeared (trailer here), which screens during the 2017 Fantasia International Film Festival. Kang was convicted for the murders of her second husband Chul-joong and her firstborn son, Hyo-je, but the latter’ body was never found. After twenty-five years in prison, Kang’s sentence has been commuted to house arrest on compassionate grounds. She has throat cancer. However, it is not particularly compassionate to imprison her in the same evil house where it all went down. Yet, she wants to be there, because she is convinced Hyo-je is still there somehow. Although she never asked for his help, Priest Choi keeps offering. Eventually, he will uncover the house’s creepy history, involving a regular cycle of disappearances. 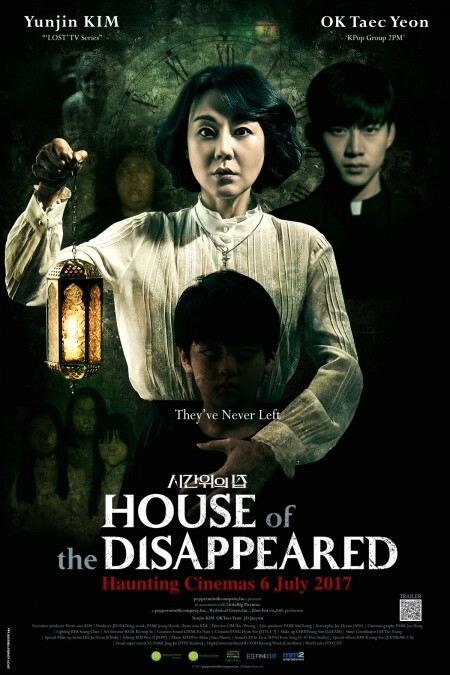 If Disappeared sounds familiar, it is because it is a Korean remake of the Venezuelan film, The House at the End of Time. Frankly, screenwriter Jang Jae-hyeon follows Alejandro Hidalgo’s film beat-for-beat, but there is no getting around the fact Korean cinema is just so better suited to handling the uncanny sentimental heart-string tugging of denouement. It is what they do best. Yunjin Kim, best known for her breakout American television work on Lost and Mistresses, happens to be very adept at yanking on those heart-strings. 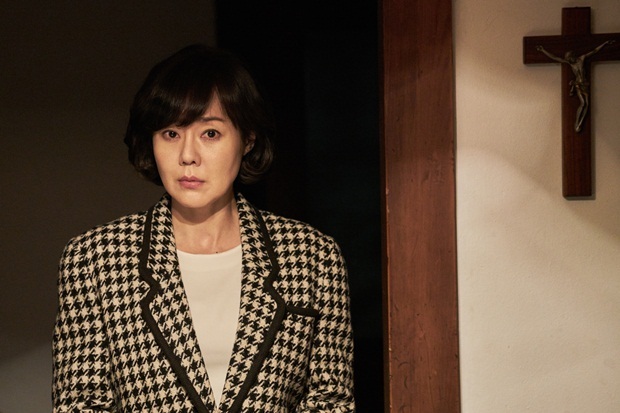 She is terrific as Kang, convincingly portraying her as a young mother and disgraced old woman. Former boy-bander TaecYeon also vastly exceeds expectations as Father Choi. Young Park Sang-hoon IV and Ko Woo-rim are both so strong as Hyo-je and his brother Ji-won, they often make it painful to watch the film. Disappeared is one of the few remakes that seems to offer the story a more suitable home. The Catholicism is still there, but the added elements of feng shui and shamanism give it more texture and depth. Highly recommended, especially if you haven’t seen the Venezuelan original, House of the Disappeared screens again tomorrow (7/20) as part of this year’s Fantasia.